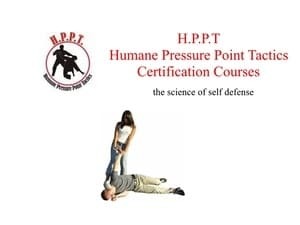 Free Humane Pressure Point Tactics Video - Limited Time Offer! Free Humane Pressure Point Tactics Video! How would you like a Free Humane Pressure Point Tactics Video? This is HPPT Level One Lesson 1 in its entirety! Totally FREE? So what is Humane Pressure Point Tactics? Or as we call it HPPT. What are Humane Pressure Point Tactics? Would you like to have the ability to take control of a bad situation, perhaps prevent the violence from occurring? How about begin able to walk down the streets at night knowing you are prepared for what hopefully will never happen? There is a method of using pressure points to control a situation before it becomes violent or immediately after. Also this is an all new certification course that comprises of 3 levels. Therefore this is essential information for any martial arts student or instructor who is concerned about the escalating violence on the streets today in our "surveillance" society. 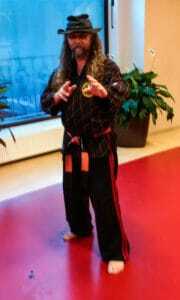 It is also perfect for a novice with little to no experience in self defense. The Humane Pressure Point Tactics Level One Certification is now online at Kyusho Jitsu University! This is a full certification course for personal knowledge as well as teaching certification. It will cover the following types of situations. Removing a disruptive person from the area. Assessing situations for use of proper force. This will be approximately a one month online video course! Also I will supply a digital certificate after brief examination you can print as proof of certification and completion. This will also be the authorization to teach our H.P.P.T Course under the Kyusho Jitsu World Alliance. Download your Free Humane Pressure Point Tactics Video Now!